Flowers are the language of Love. 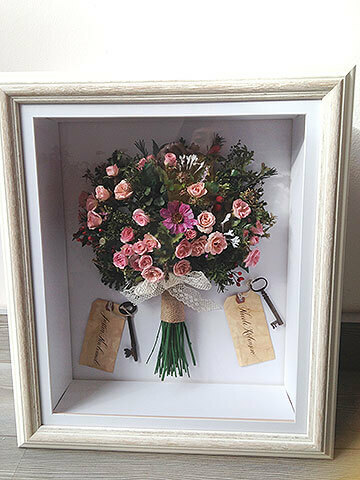 Save your special flowers and preserve your special memories. 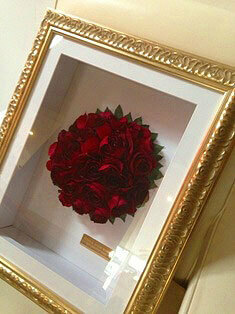 Your special memories will live forever with the beautiful flowers which your whole family will come to treasure. Message plate with Photos can be added. 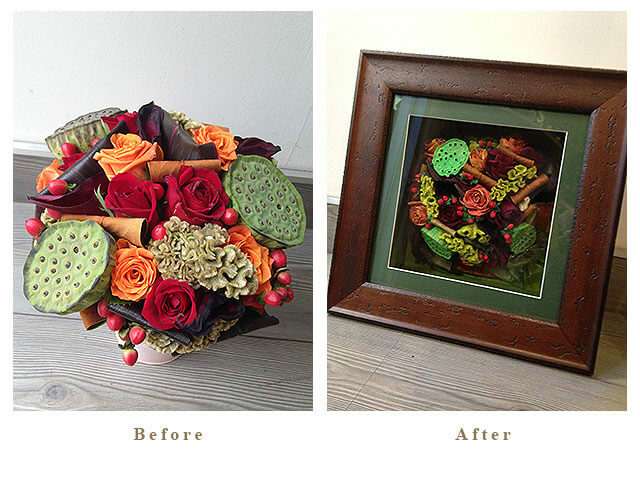 Your Preserved Flower Frame will be completed by fully qualified and experienced Japanese floral artist. 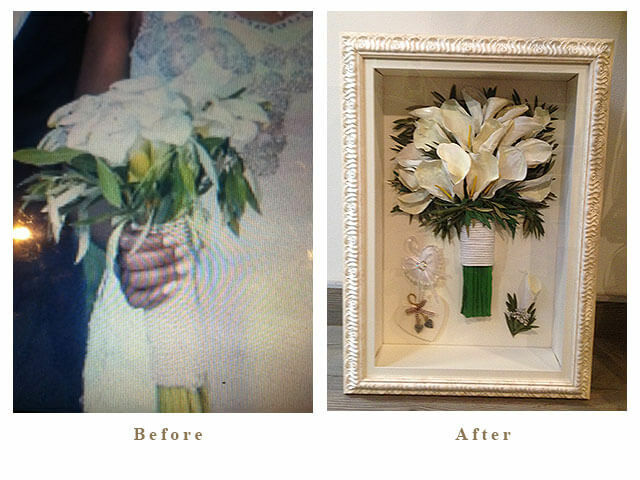 Everything is handmade with the passion for your special memorial flowers. 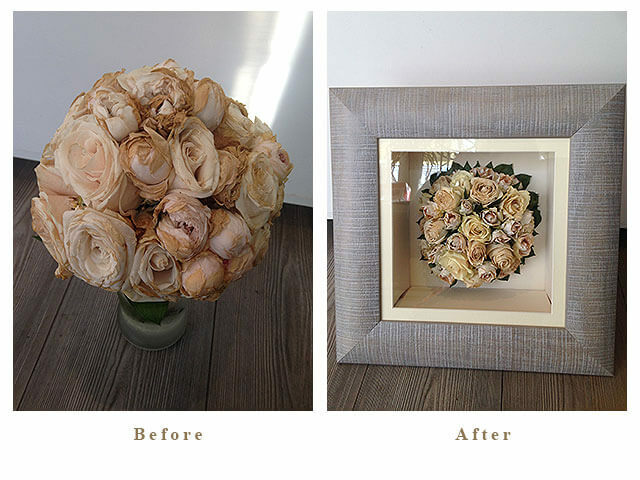 We pick up the flowers in a few days after wedding or event, But earlier is better. Do not allow any portion of flowers to freeze this can sometimes happen if the refrigerator is set too cool. Do not spray with water. 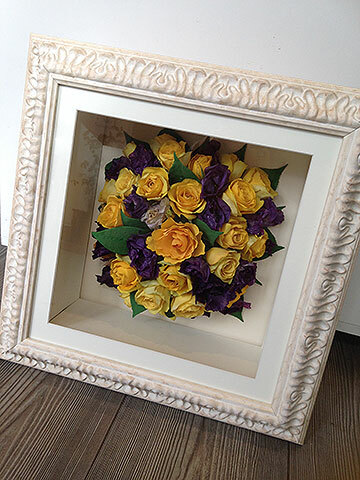 We will discuss with you about the design and style of the preserved flower frame that best suits you. The frame will be completed in 2months, we will contact you arrange delivery date when it is completely finished.